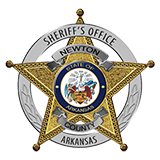 On the 4th day of June 2014, the Newton County Sheriff’s Office received a call for service at the Wilburn Lee Coont’s residence in Piercetown in reference to a possible shooting. Upon Deputies arrival, they were told by Coont’s that Ira Gentry and Jordan Hampton had gotten out of their vehicle and threatened Coont’s with a firearm and Coont’s stated he fired a shotgun twice to ward off Gentry and Hampton. While Deputies were on scene at the Coont’s property, the Sheriff’s Office received a second call for service at the Crystal Ford property in reference to Gentry and Hampton. Upon Deputies arrival there, they were told that Gentry and Hampton forced their way into Ford’s residence and threatened to kill her as well as attempted to take two girl’s with them. A short time later, Deputies located Gentry and Hampton at a residence along with three other individuals. All five subjects were arrested. Ira Gentry, 37 of Western Grove and Jordan Hampton, 18 of Jasper were charged with Residential Burglary and Terroristic Threatening with bonds set at $25,000 and $15,000. Both subjects have since posted bond and are no longer incarcerated.